Is there anything Pat McGrath can’t do? The makeup artist has always made us question what’s normal with her boundary breaking beauty looks and application techniques (she uses her hands). There are multiple hats that Pat wears besides makeup artist. Folks in the biz call her “mother” for her caring and compassionate nature behind the scenes. If there’s a storm backstage at Fashion Week, Pat is at the eye of it with her calm and humble energy. The next hat that she decided to throw on was “maker” when she joined Giorgio Armani as their creative director. Pat transitioned into full on mogul territory in 2015 when she launched her own line of color cosmetics, Pat McGrath Labs. The true artist she is, the packaging is meant to be reused in creative venture (don’t throw out those sequins!) and the products themselves are pigmented and impactful for any look you are trying to create. Personally, I’m a mascara hoarder and I can’t leave home without at least one coat on my lashes. So when I received the new FetishEyes™ Mascara, I was beyond stoked to try it. My first impression is that I love this wand! It has dense bristles and is firm and rectangular in shape. The result is that it picks up the darkest carbon black mascara cleanly and without fuss. The mascara promises to “lift and lengthen” and it definitely delivers. 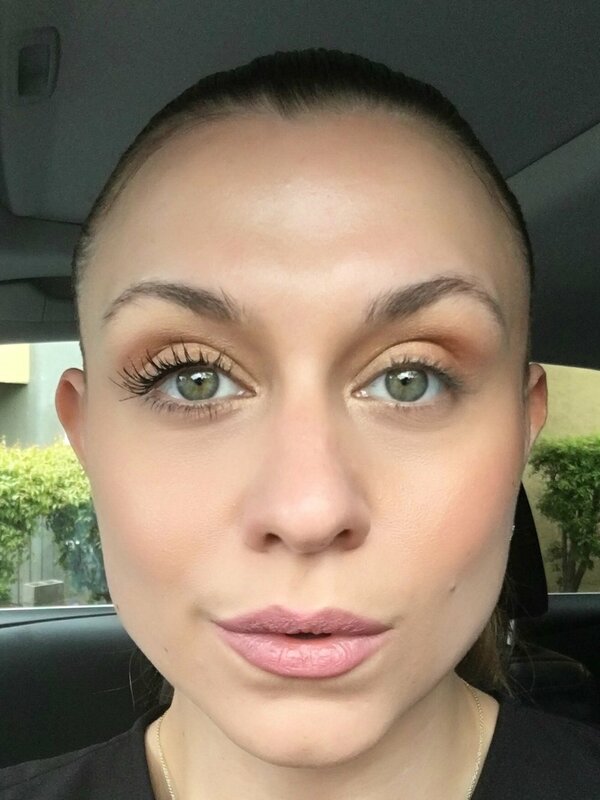 The formula gave my lashes separation and definition (think like Definicils from Lancôme) that gave them the appearance of a natural lash extension. Something that is so “mother” is that the Pat McGrath Labs website gave me tips on how I can use the mascara to get different looks, under the Application tab. Something else I learned while researching the formulation is that there are peptides and conditioning agents to help protect your lashes from breakage. That means that Pat has done something that most brand steer away from, she has given you a primer and mascara in one product. Less breakage means less lashes falling out and less fall out means longer and healthier lashes over time. That made me feel slightly less guilty about falling asleep with this mascara on this past weekend. I was in Vegas, cut me some slack. What I will say about this formula is that, while it’s buildable, it’s not necessarily going to get you that high impact volume that you may be looking for. It’s a good first mascara but I have a feeling Dame McGrath (yes, she’s been given the title by the Queen) may have some more formulas up her sleeve that she will be gracing us in the near future. In the meantime, grab the FetishEyes™ Mascara from your local retailer or on PatMcGrath.com for only $28. Yes, you read that right. An amazing formula in sleek packaging to give you a luxury product without the luxury price tag. Consider me a convert. Talk to us about your fave PAT MCGRATH LABS product!